Many small businesses in the UK, especially those involved in international trade, are exposed to significant foreign exchange risks. According to data from a white paper published by the financial services firm Ebury, currency risks cost UK SMEs more than £10 billion in 2014 alone. This is disturbing given SMEs often struggle to remain profitable, raise working capital and access funding. When dealing with a foreign client, most UK SMEs translate foreign currency figures to Sterling Pound figures. While such an approach may seem sensible to a lay businessperson, it is very risky, especially in cases where foreign currencies are prone to significant price movements. Transaction risk usually arises due to exchange rate differences between the payment transaction date and the actual settlement date. During this period, the Sterling Pound’s value may appreciate or depreciate relative to the value of a client’s currency. This could lead to transaction loss or gain for a UK-based SME. It is worth noting that the extent/degree of transaction loss/gain depends on the size of the expected payment. International trade exposes UK small and medium enterprises to direct as well as indirect forex-related economic risks. For example, whenever the Sterling Pound strengthens relative to the value of currencies in countries where competing businesses are domiciled, competing products become cheaper and attractive to your clients and vice versa. In plain English, a forward contract is a legal agreement to buy or sell a fixed amount of currency in exchange for a given amount of another currency at a set future date regardless of the then prevailing exchange rate. This type of contract eliminates the uncertainty that plaques large international transfers simply because SME owners do not have to worry about forex volatility. In a forex swap, the parties involved agree to exchange equivalent amounts of two different currencies for a given period and then reverse the same exchange later. Moreover, parties swapping currencies do so by using a pre-agreed exchange rate. Forex swaps have three main advantages. To start with, they make it easy for parties involved to access short term financing in markets where it may be hard to borrow funds from financial institutions. Secondly, it allows one or both parties to hedge against unforeseen business FX risks. Thirdly, it makes it easy to access markets that have strict and restrictive exchange controls. 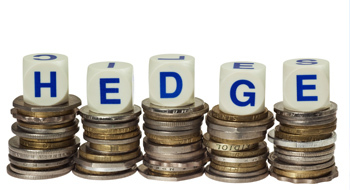 Unlike the hedging tools described above, a money market hedge involves completing a transaction based on current exchange rates, not future rates. To do so, banks allow traders to buy or borrow foreign currencies and hold them until an actual transaction takes place in the future. The rule of thumb is to purchase a given amount of foreign currency at present value and let it earn interest in an account until the future transaction date. To hedge against receivables, borrow foreign currency at present value and let it earn interest until transaction date. A money market hedge is the ideal business forex hedge in cases where it is impossible to use forward contracts. A limit order allows one to set the maximum or minimum exchange rate for purchasing/selling foreign currency. On the other hand, a stop loss order allows one to select a specific price for buying/selling a given currency. In most cases, stop loss and limit orders are used together. For example, you can set a stop order price below the current market price and limit order price above the current market price if you would like to go “long” on a currency. For a short position trader, the rule of thumb is to set a limit order price below the current market price and stop order price above the current market price. A currency swap allows an SME owner and a foreign client to swap interest rate commitments pegged to different currencies. In this case, the exchangeable interest rates can be either fixed or variable. Processing payments for goods and services offered to international clients can potentially sink your SME into loss-making territory, especially if you fail to take steps to hedge against this business forex risks. The problem gets even bigger when larger amounts of money needs to be transferred abroad for a property or warehouse. In these cases, proper research will be needed as the first step. The current real estate situation in Europe makes it very attractive especially for UK people, as the Pound has gained a lot of ground against the Euro. *Read more about purchasing a property in Spain, buy a house in Ireland or send money to France as a down payment. According to the Currency Outlook survey, 32% of UK businesses view currency volatility as the main hurdle to doing business abroad. 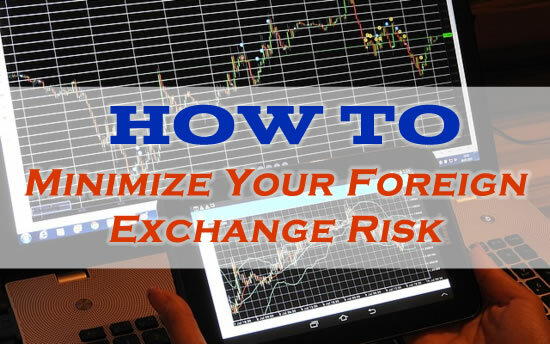 You can solve this problem by using currency-hedging services such as forex swaps, money market hedge, forward contracts, as well as stop loss and limit orders.